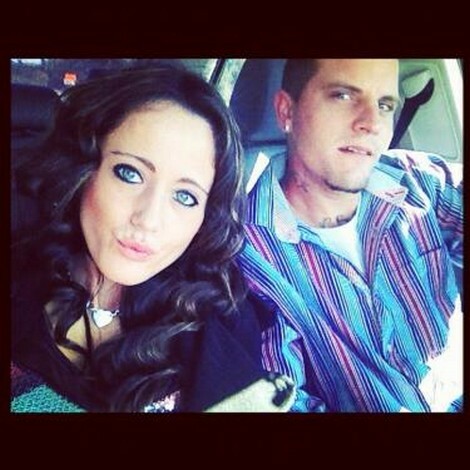 Teen Mom 2 Jenelle Evans In Hospital – Was It Heroin Or A Car Accident? I think once a girl signs on to do MTV’s Teen Mom show her life automatically turns into a negative pile of nonstop drama. Take one of their resident bad girls, Jenelle Evans. More often than not she is a pretty unapologetic drug addict that jumps from bad relationship to an even worse relationship. She recently has spent her money on everything but going to court to fight for custody of her son, Jace. Jenelle spent the Thanksgiving holiday in the hospital recovery from surgery to remove ovarian cysts, says she. There is another rumor circulating that Jenelle may in fact have been injured in a car accident. Supposedly her boyfriend of the month, Courtland Rogers totaled her brand new, $18,000 Jetta in a car accident, Fans over at Teen Mom Talk are going crazy with speculation over what may have caused the smack up (Heroin) and whether or not Courtland is even legally driving. Jenelle says there was no accident and that her sister made the whole story up to get attention. I have to wonder if Jenelle herself plants this crap to get attention from wherever she can! I mean seriously, the girl has a drug problem, ignores her kid and broadcasts every moment of her life on Twitter. Why do we even care if there was an accident? I’m not sure but I’ll tell you this, Jenelle thrives on the drama and whatever douche bag she is dating uses her for whatever they can get and then wisely moves on- usually with naked photos to sell to the lowest bidder. Do you think Jenelle had a medical emergency this past weekend or was she rolling with her boyfriend when he miscalculated something. Or maybe she just was at home cooking up the next bit of drama to post so that we wouldn’t forget she existed. Tell us your thoughts in the comments below!